The Economic Development Authority (EDA) is a separate entity of the Nation and is a chartered organization whose overall objective is the acquisition, development and operation of businesses for the benefit of the Tohono O’odham Nation. The Authority’s charter also allows the Authority, within certain limits to acquire, own and manage financial investments in an effective manner. To establish, own and operate financially, self-sustaining and successful business enterprises to generate diversified revenue streams on and by the Nation. 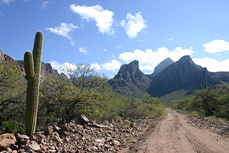 To promote economic development on the Tohono O’odham Nation by establishing, developing and diversifying business opportunities for members of the Nation, communities and Districts such as: advocating for the adoption of a UCC (Uniform Commercial Code), land use plan, zoning, etc. To attract outside funding by securing grants, loans and equity capital from sources outside the Nation. An example is the establishment of a Community Development Financial Institution (CDFI) that will provide access to capital (loans) for the Nation’s 11 districts and the Nation’s members while offering support through educational programs promoting financial literacy, as well as technical assistance and training on the use of debt/capital. The services offered by the EDA are Development and Infrastructure Funding, Business Opportunities, “For Profit” Business Ownership & Operation, Minority Ownership in Business Financing Through Equity and Finance Resources for Projects & Operations. For more information call (520) 383-2900 or 2901.